- New feature: Error Reports displays a warning when the page name is the same as the project name because this may cause a conflict with style sheets. - New feature: Error Reports detects missing fonts. If an object uses a font which is not installed, then an error message will be displayed. - New feature: Error Reports detects missing (third party) extensions. If the page uses an extension which is not installed, then an error message will be displayed. - New feature: Added the possibility to hide warnings for specific objects via the context menu. Also, an option 'Show hidden warnings' have been added to restore the warnings. - New feature: The 'Error Reports' window can now be docked, floating or set to autohide so it can be made visible all the time. When visible, the error list automatically refreshes when you switch between pages. 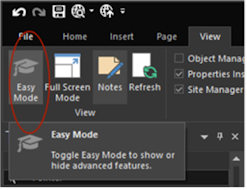 Double click an item in the list to select the object in the workspace. - New feature: Added support for Google's Material Design Icons(https://material.io/icons/). Adds more than 900 new icons. The Material Icon object supports the same features as FontAwesome. - Improved: The icons in the FontAwesome Gallery of the Ribbon are now categorized to make it easier to find icons (based on the categories on the FontAwesome website: http://fontawesome.io/icons/). - New feature: Added support for rotation. - New feature: Added 'Publish as SVG' option. This will output the icon as embedded SVG (scalable vector image) instead as font. This greatly reduces the overall size of the website if you only use a few FontAwesome icons. - New feature: Added 'Photo Collage' object. This introduces a cool new way to display your images. More than 30 layout variants are available, each with a different number of images. 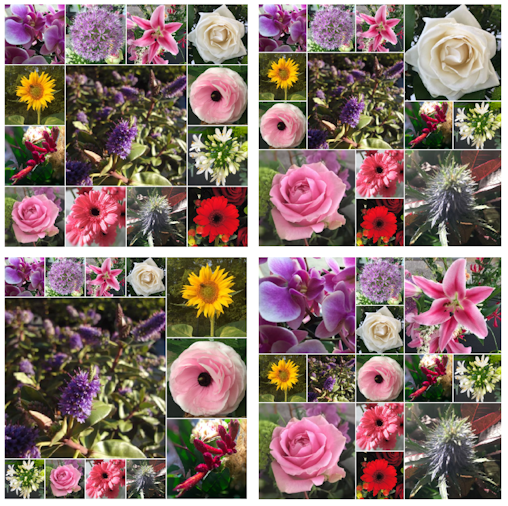 The Photo collage object is flexible so it can be used in layout grids and responsive layouts. Also, supports lightboxes, Instagram integration, load animations and more. 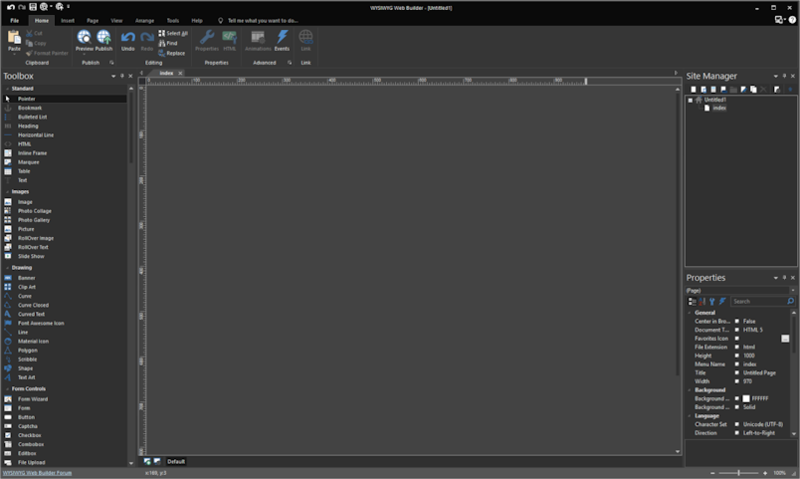 - New feature: Added 'Office 2016 - Black' color scheme. - New feature: Implemented Office 2016-like Ribbon commands search ("Tell Me"). When the user types a part of command text in the box, a list of matching commands is displayed on the Main Panel. - New feature: All built-in dialogs now use the selected color scheme (like in MS Office apps). 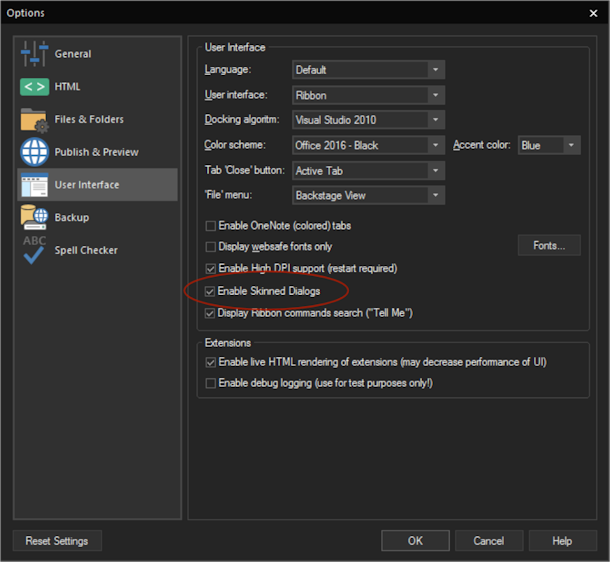 A new option has been added to enable/disable this functionality: Tools->Options->User Interface->Enable skinned dialogs. - New feature: Added 'Reset settings' to Options. This will restore the default settings. - New feature: Added 'Display all objects in Links->Bookmark' option. When this option is enabled then the Bookmark dropdown menu in Links will display all objects (instead of just bookmarks and layers). This basically makes it possible to turn any object into a bookmark! - New feature: Added 'Easy Mode'. This option may be useful for new users who are overwhelmed by all the advanced features of WWB. 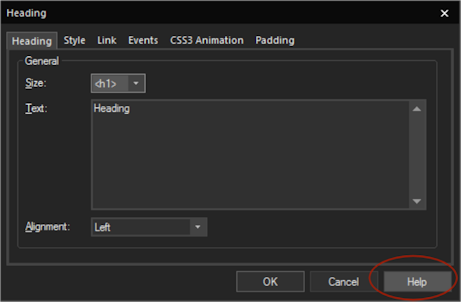 When this option is enabled then advanced features (like events, animations, CMS, login tools) will be hidden in the toolbox, ribbon and properties. Easy Mode can easily be toggled to make the options available again. - New feature: Added a 'Help' button to most property windows to open context sensitive help. For example, if you click the Help button in the Events window then it will directly display the ‘Events’ section in the help. 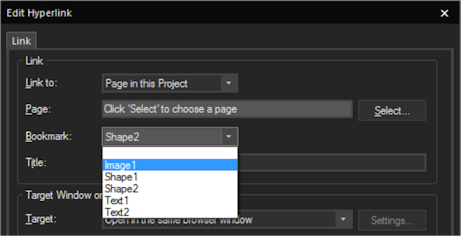 - New feature: Added 'Include partially selected objects in lasso selection' to Guide settings. 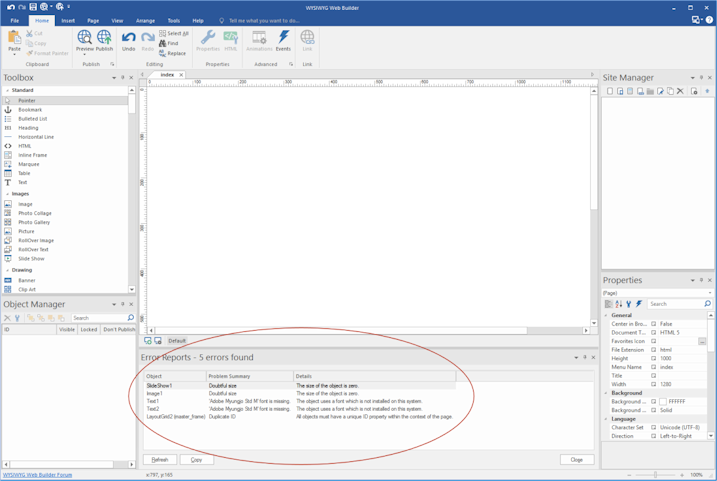 This option specifies whether partially selected objects will be included in lasso (net) selection. If this option is disabled, then the entire object needs to be inside the lasso to be selected. A complete list with screenshots will be available soon. Also there will be a bunch of new tutorials to demonstrate new features. The upcoming weeks (months?) will be used to test/fine-tune WWB12 and make it ready for the release. 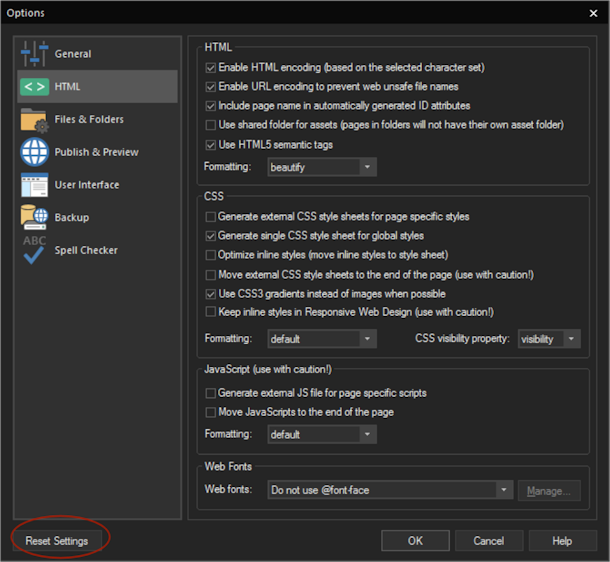 And to conclude this teaser... here's the (almost) complete list of new features for WYSIWYG Web Builder 12.